Looking to send video in your email? 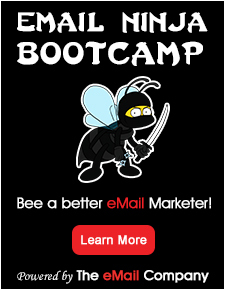 BombBomb is the video email marketing software and video email company that will provide you an email campaign like you have never seen before. Since 2007, our clients have watched their click-through rates increase by 200-300% and their conversion rates by 50%. Naturally our clients love what we have to offer! BombBomb’s video email platform is loaded with all the features you need, want and expect to send newsletters and promotions to your prospective customers, inspirational video emails to your followers, or video welcome messages to your new subscribers. Our email marketing tool includes list management, auto responders, web forms, pre-built templates, quick-and-easy email editing and comprehensive statistics. Our patented technology is not off-the-shelf! 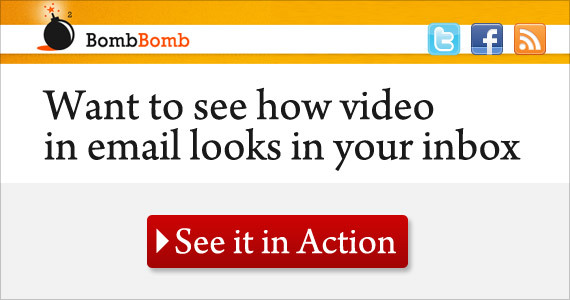 BombBomb’s video email marketing with patented “Real-Time Email” technology was developed specifically to serve clients with time-sensitive messaging needs. Real-Time Email can change content every minute or any minute at your discretion. 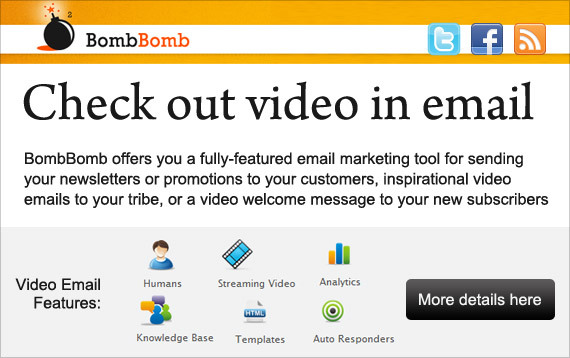 BombBomb also supplies email marketing to clients who occasionally or never send video emails – your choice. Why is the BombBomb system so effective? Video conveys the emotion that an email or text alone cannot. The voice, the face, the tone, and the human element in the video make all the difference. Let us show you how we can significantly increase your click-through and conversion rates using video email. Want to see BombBomb in action? 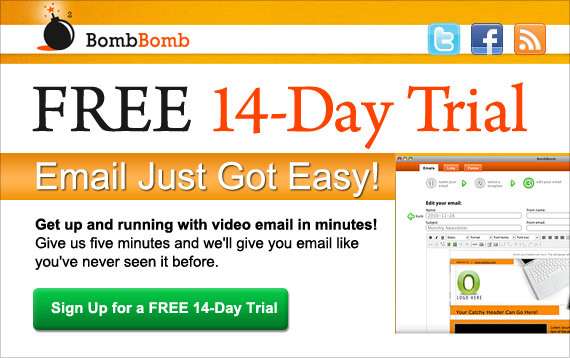 The best way to see what BombBomb can do for your email campaigns is to sign up for our free trial offer. You will see the difference that video email can make in your results. Try BombBomb today! There is no risk in trying us out, because it’s FREE for 14 days. We are confident that you’ll be pleased with the results when you give BombBomb a chance to blow your results sky-high! That’s what we do – we’re BombBomb!